Today we're adding a new series of videos onto the Big Screen which follows the journey of Buster, a local dog reporter who really is, a good boy! In the series, the curious reporter travels to many various local businesses, people and charities. Buster interviews each one in a really rather special way on topics such as what they're up to and what they're offering the humans and sometimes dogs of Portsmouth. This includes Southsea Bathing Hut, Aspex Gallery and the Paulsgrove Carnival. This is a really fun collection of videos that we think will sit perfectly on the Big Screen in Guildhall Square. 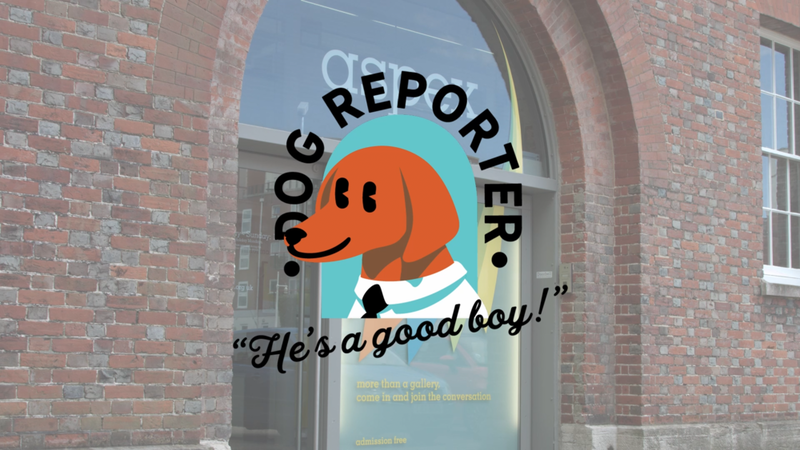 Dog Reporter is filmed and edited by Familiar Stranger Films, conceived and project managed by Mister Ames and made with help from The Maker's Guild. You will be able to watch Dog Reporter at 10:19 AM and then every 2 hours after from Friday, 10 August 2018.